We’ve seen some mean and mighty muscle cars here on the WheelHero bog, but this one is easily up there with the best. 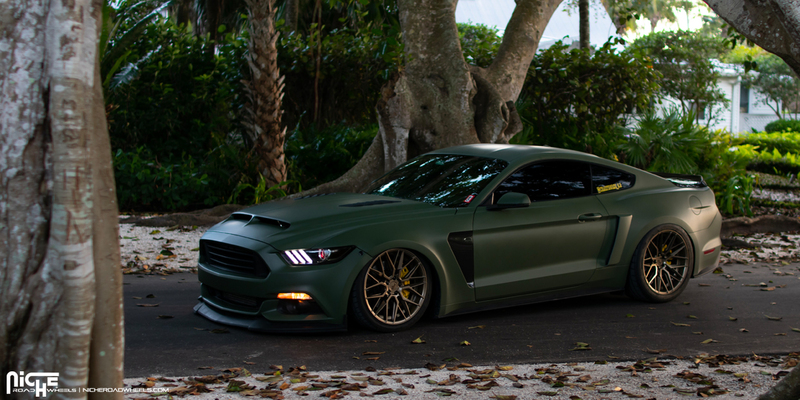 This Military Green and Black Ford Mustang GT is packing some serious heat and looks absolutely menacing on the pavement thanks to new body work and Niche Wheels. In factory form, the Ford Mustang GT is a pretty intimidating machine on its own. The naturally-aspirated 5.0-liter V-8 engine sitting under the hood spits out a whopping 435 bhp at 6,500 RPM and 400 lb-ft. at 4,250 RPM. You can bet that the power output on this bad boy is much higher thanks to some new upgrades and the rear Niche Wheels are more than happy to turn it into smoke at the rear. 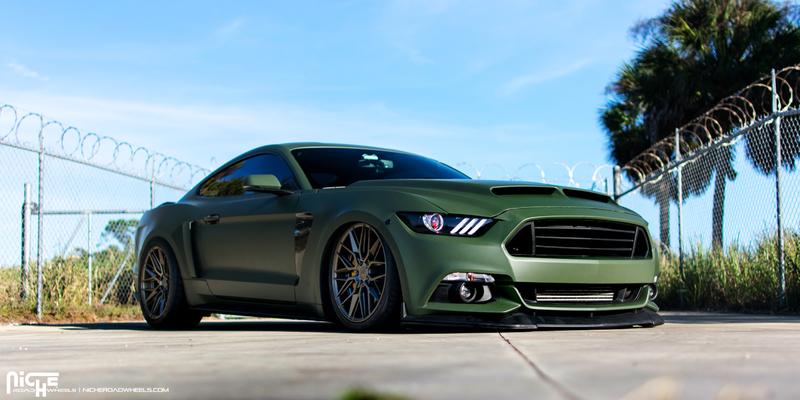 This Ford Mustang GT is intimidating and powerful visually. A new front fascia with grille, spoiler lip and ventilated hood hints at the muscle car’s performance that’s waiting to be unleashed. The front and rear fenders are a bit wider and boast integrated vents and intakes to keep the brakes cool behind the new Niche Wheels. 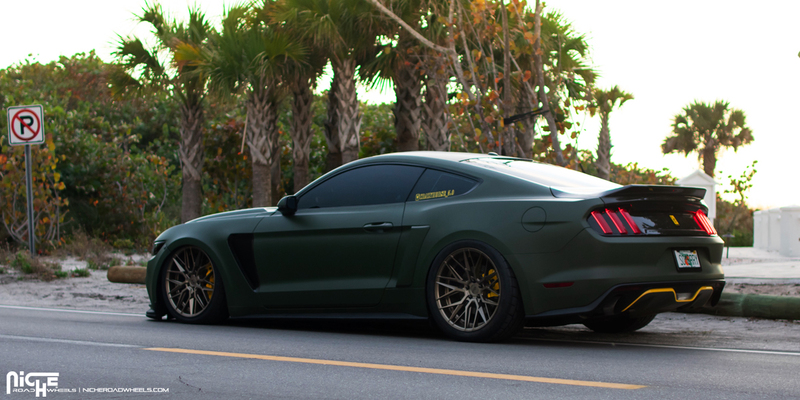 At the rear sits a new spoiler lip and a lower valence with contrasting Yellow pinstripe against the Military Green body. The entire ride height of the Ford Mustang has also been lowered for a more athletic stance as if the pony car is ready to pounce. Hitting the pavement is a new set of Niche Gamma – M191 rims. These Niche Wheels measure 20 x 9.0 at the front and a wider 20 x 10.5 at the rear for a bigger footprint. 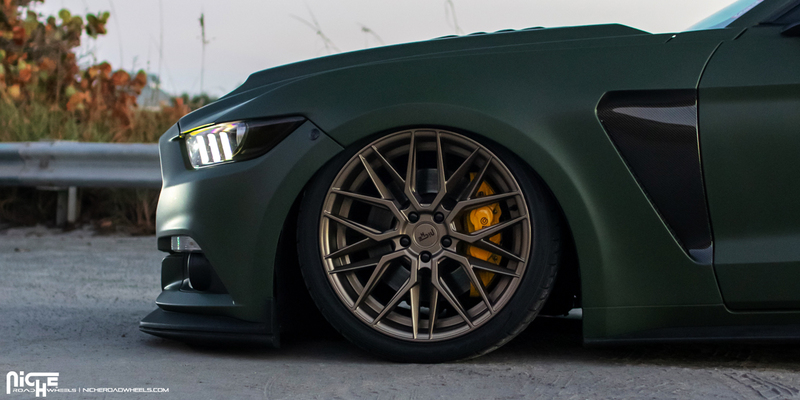 Each one of the Niche Gamma – M191 rims boasts a dark Bronze finish that plays well with the Military Green body and Yellow highlights. 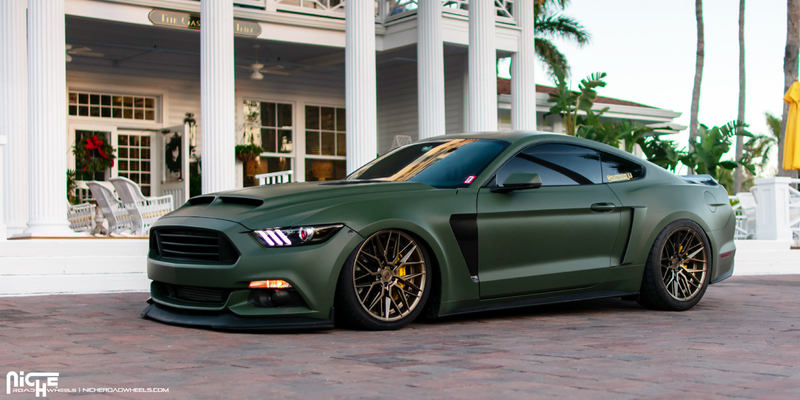 This Ford Mustang is ready to slay some tires and scare the living hell out of others on the road with its looks and performance. Go Big with this Ford F-350 Beast on Fuel Wheels! This Ford F-250 has All the Power, Fuel Wheels, and then Some! 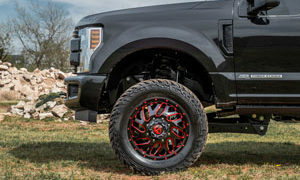 This Ford F-350 Super Duty with Fuel Wheels is a KING!